Florence R. Smith is a self-motivated professional skilled in directing and organizing tasks to achieve overall mission objectives. She has been employed with the Federal Government since December 2004. She serves in many capacities within the Gospel Spreading Church of God. Florence has a Bachelors in Business Administration and Masters in Technology Management, both from University of Maryland University College; and a Master of Strategic Studies Degree from the U.S. Army War College. 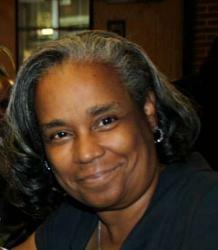 She is a published author and owner of Teachable Moments Press, a Christian publishing company. A woman with a message of hope, encouragement, and inspiration, Florence will leave you motivated and inspired in fulfilling your purpose!